Tiger Woods’ return to Firestone by all accounts was a rousing success. The eight-time winner of the WGC Bridgestone Invitational finished his first day in Akron, Ohio with a 4-under 66 to sit T14. 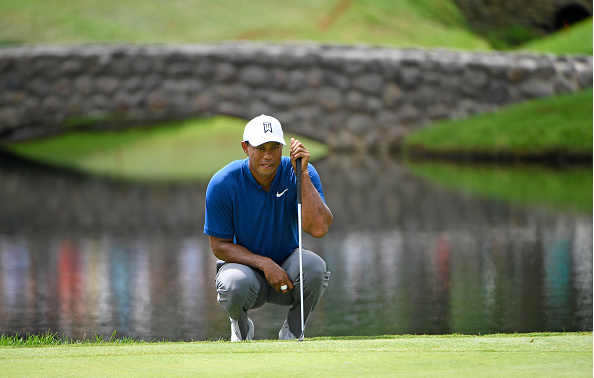 “Well, it’s nice to shoot rounds like I did at The Open and like I did today, put together rounds where I may not feel the best but I’m able to post a score,” said Woods in a post-round press conference. “That’s how you win golf tournaments. You’re not going to have your best all four days and it’s a matter of that bad day being 2, 3 under par instead of being 2, 3 over par. And then everyone has their hot days. When you go hot, you can shoot 8, 9 under par, but it’s your off days. Tiger’s 4-under card included 12 pars, one bogey and five birdies, highlighted by a 50-foot bomb on the 18th (his 9th hole).